Misfortune can cause even the mightiest to fail. Where their path might have led to glory and renown, misfortune can cause only sorrow to be their companion. 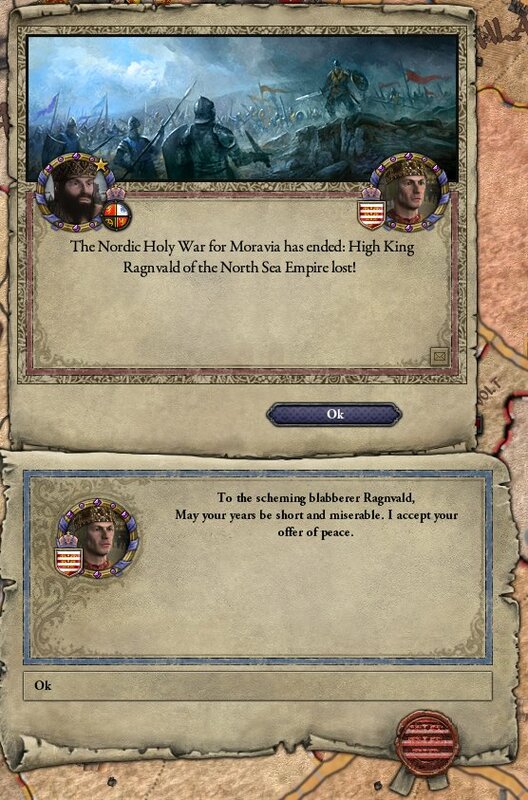 Such was the life of High King Ragnvald, who despite great promise and expectations placed upon him during his youth, would see some of the darkest times of the North Sea Empire. 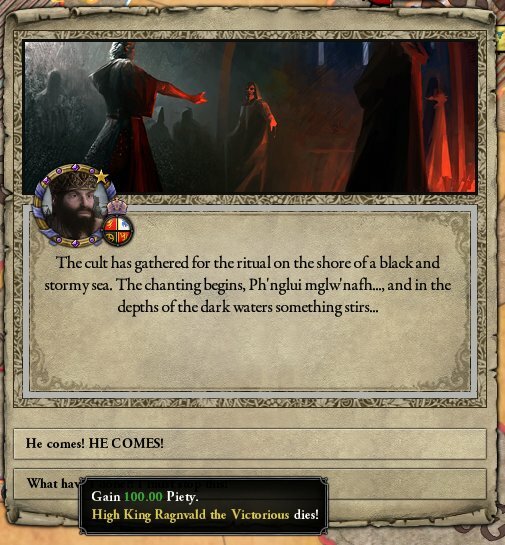 Such was the life of High King Ragnvald, the Defeated. Riding on the war path, just behind his father, was not the place where Ragnvald was expected to succeed his father. Seeing the High King fall from his horse, Ragnvald rushed to his side and Eirik spent the last moments of his life in his son’s arms. As the body was sent back to Castle Lade for internment, the new High King took his father’s war crown and continued with the army on the march south. News of the High Kings death spread quickly, and in its wake old alliances needed to be renewed. 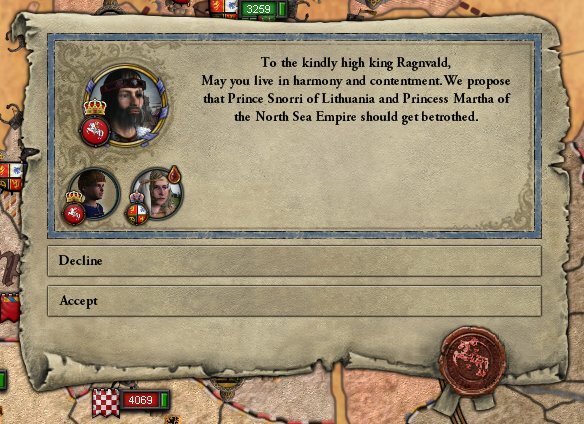 To secure the alliance with the Lithuanians, the High Kings daughter was sent to marry the young heir to the throne in Lithuania. 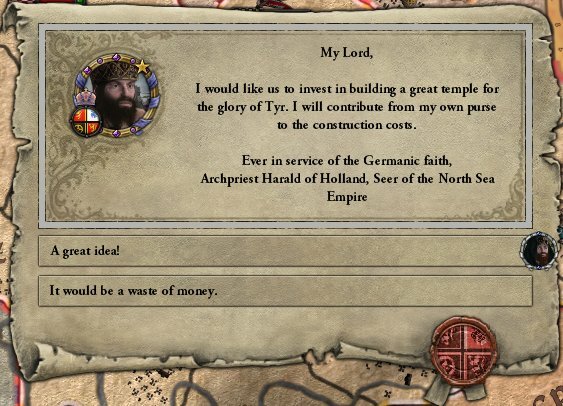 To appease the war god Tyr and gain his favour in the coming wars, the High King sponsored a new temple in his honour on the march through the Frisian lands. 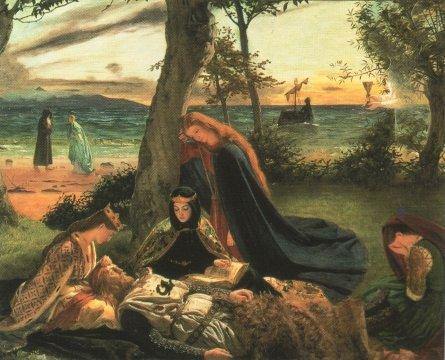 Having dedicated the land to the priesthood, High King Ragnvald left the lands of his forefathers…. …and into the waiting swords of the Catholics. The High Kings plan had involved splitting the army into two forces, one to focus on the reinforcements from the western Catholics and whilst another army would lay siege to the lands in Carpathia. 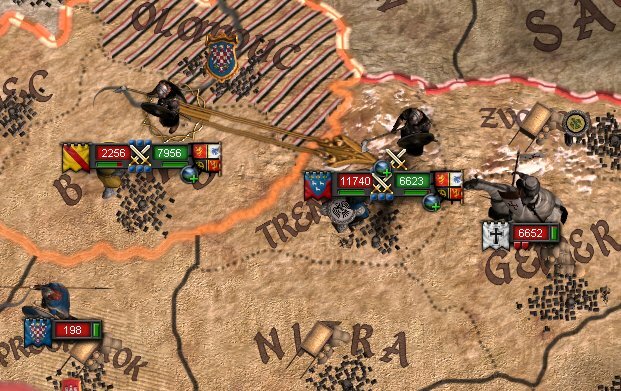 Whilst camped outside the town of Zamberk, the High Kings army was ambushed by the combined force of Carpathians and a monastic order of Catholics. 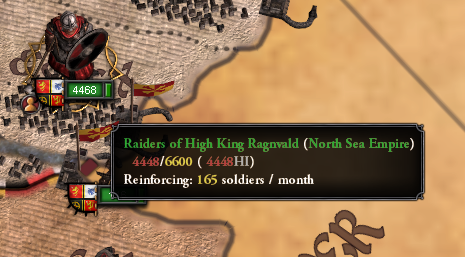 Unprepared for the assault, High King Ragnvald was forced to fight a rear action as the rest of the army disengaged, hoping to link up with the forces to the north that were marching after reclaiming the Frisian coast. In the end, the crusade was not won by battlefield strength, but by a dagger in the dark. 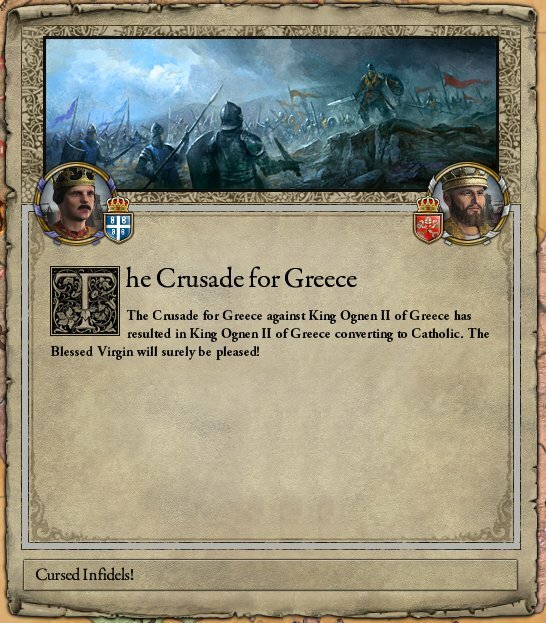 With the converted king dead by assassins knifes, Greece was welcomed back into the arms of the mother church. With their focus now fully on the invading Norsemen, things had taken a turn for the worse. When the relief finally arrived from the north, it could not have been at a better time. The Carpathians had rallied for a final assault and had begun attacking the entrenched position and with the Knights Templar moving the northern force, although weakened by battles and sieges, would have been a swinging factor in the battle. However, before they could combine, a small force of Catholics intercepted the reinforcements. Outnumbered and with no hope of defeating the larger foe, the small band of warriors were able to hold up the hope of the High King Ragnvald and his men. 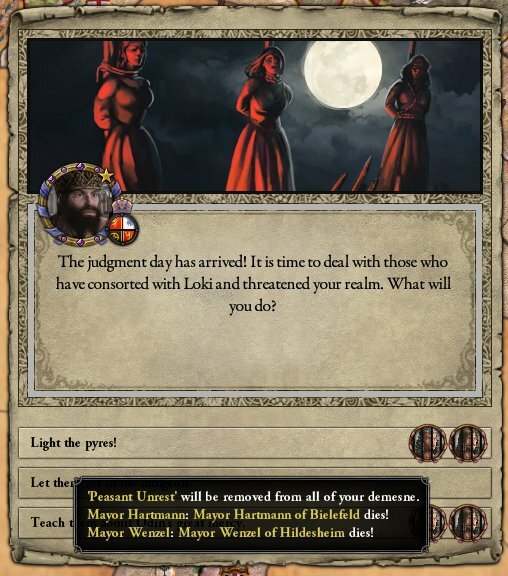 Wounded, dishonoured and weakened as a state, the High King and his council were unable to resist, several lesser nobles of the realm threatened civil war. A fruit of the reforms enacted by his forbearer, the High Kings armies had blead whilst the various Dukes had stayed behind, only supplying a portion of their strength as the law required. Their demands were simple, yet they would shake the power of the High Kings to its foundation. Called the ‘Grenser av Kronen’ or the Limits of the Crown, this document set out to limit the High Kings authority and protect the lesser nobles, clergy and city states of the realm. There would exist a council of lords, called the Storting, which would advise the High King on matters of state and law. Whilst still the foremost authority in the land, a High King would be forced to gain the approval of this assembly to enact law. There was also a provision that forced the redistribution of his titles on his death, and being on his deathbed, it did not look like it would be long before that happened. 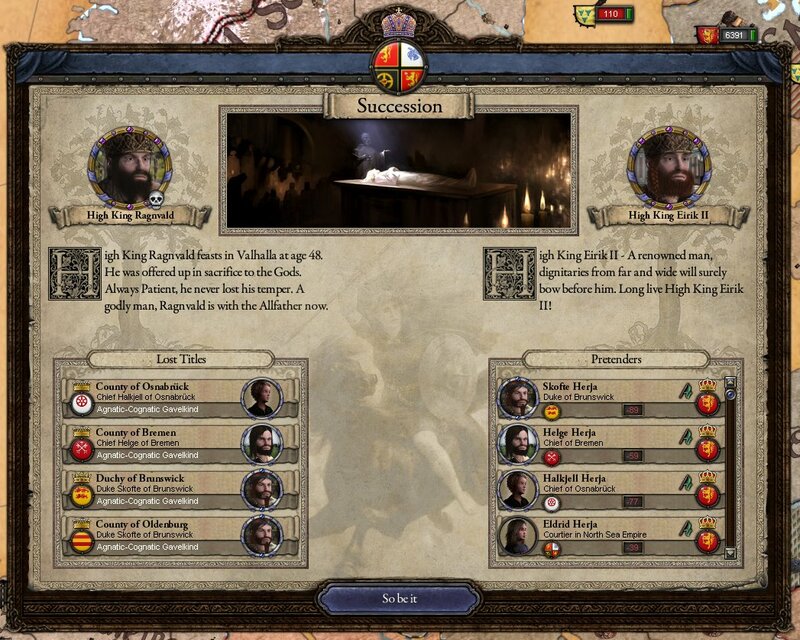 With one document, the North Sea Empire was effectively killed, upon High King Ragnvald’s death there would be several Kings, with the King of Norway as the first among equals amongst the Kings of Frisia and Great Moravia. As further insult to having lost the support back home, the war in Carpathia would be lost as the High King would be forced to withdraw to prevent further weakening of his power. 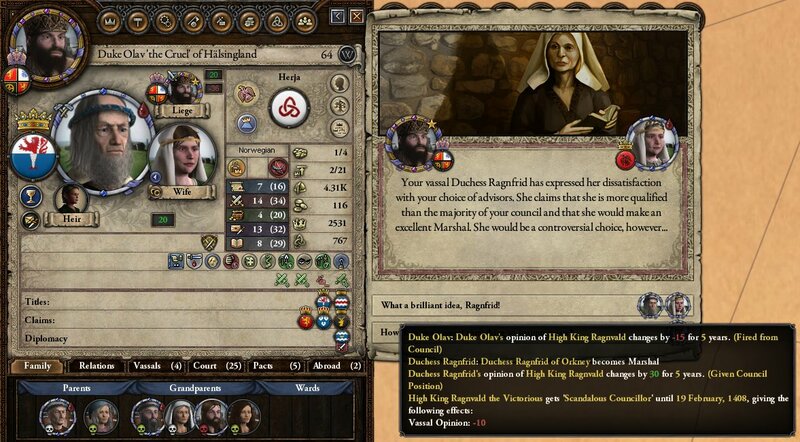 Forced to pay large concessions to the Emperor in Carpathia, High King Ragnvald left the Catholic realm swearing vengeance for the dishonour wrought upon him and his father. Many had expected the High King to succumb to his wounds, as they had been quite severe. On the journey back there had been several close calls where the High King would be unresponsive. Yet as Castle Lade came into view, the High King stirred once more. He had made it home. After years of bloodshed and treachery, High King Ragnvald was eager to return home. 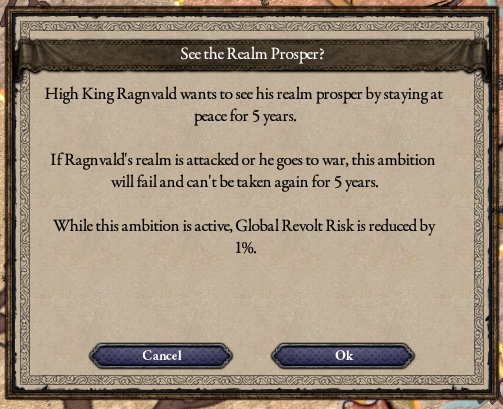 Having been High King for several years already, this was the first time he had ruled in peace. It would be important that there was recovery for both the realm as well as the High King himself. Much had changed in the years since he had left. Upon hearing of the death of the former High King and the defeat against the Carpathians, many had fallen from the path of the faithful. Seduced by the dark whispers of the dark gods, there were rumours that they had caused a recent outbreak of disease. Through the countryside did the Seers inquisition travel, and none were safe from his gaze. It was not only peasants that found their ways to the cleansing pyres, but nobility as well. For three months did the purge take place, until finally the Seer was satisfied that only the faithful remained. 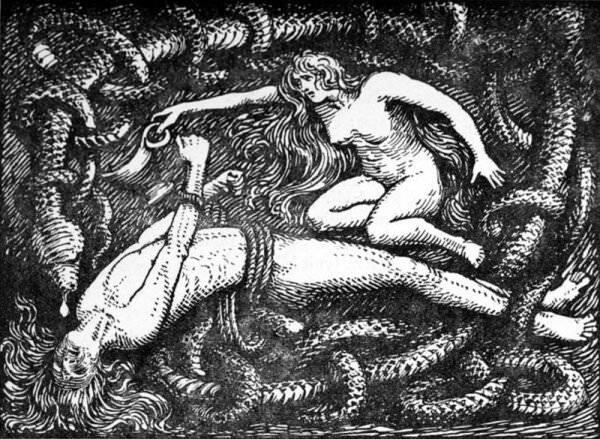 To strengthen the realm, the ranks of the Félagi Auðr were expanded once again. 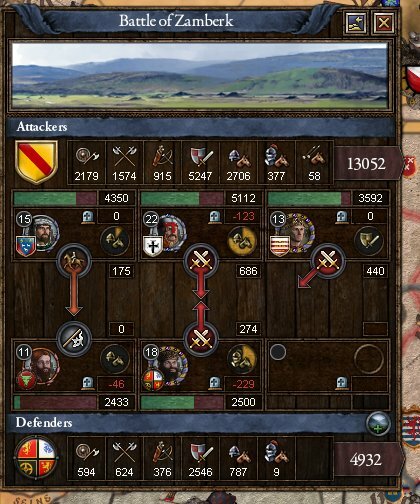 What once was a raiding force now numbered that of a small army, able to not only take from small holding but mighty fortresses as well, and able to withstand all but the greatest of hosts. Gold was not the only objective for these men now, for they had the power to threaten the enemies of the High King in ways a normal army could not. Despite the perilous position the High King was in, his ally to the east requested his assistance in war. 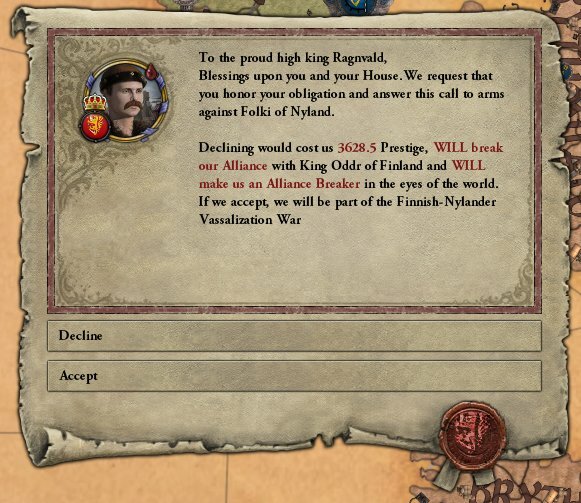 Despite being a relative minor foe, the King of Finland still requested that High King Ragnvald honour his commitment for assistance in war. Knowing that turning his back on his ally would bring great shame to his house, the High King ordered that an army muster, only enough to provide the Finnish with the reinforcements needed to siege the target of the war. To assist with his recovery, a medic was sought for the court. 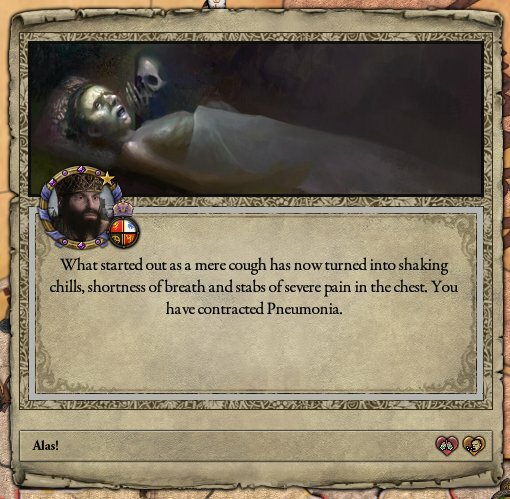 The previous physician had passed whilst the High King had been south fighting the war. Word reached the court of a pilgrim who had arrived just before the High King himself. Seeing this as divine intervention, the man was quickly taken into the employ of the household. With Eilif’s assistance, the High King was finally able to recover. One of the first acts of the High King was to punish those who had betrayed him. The first was the Duke who had led the delegation to have the Grenser av Kronen signed. 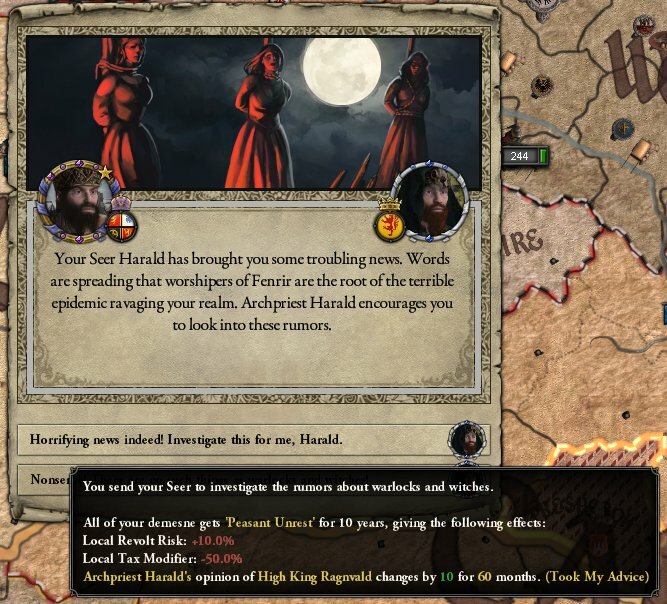 Although unable to directly move against him due to the risk of being seen as a tyrant, the High King still had the power to remove the Duke from his position of the realms Marshal. Replacing him with a woman only served to further discredit the man. 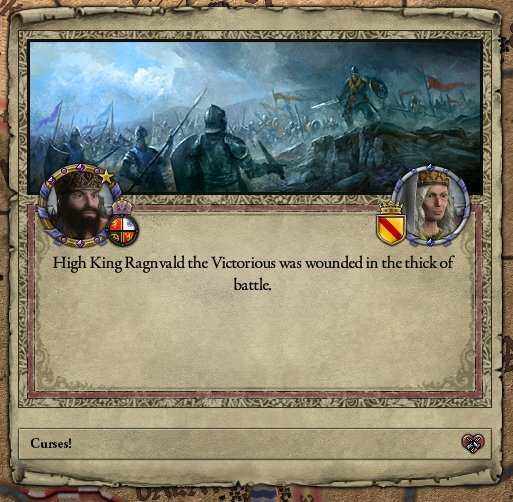 Just as it had appeared that High King Ragnvald had escaped the clutches of harm, another disease was inflicted upon him. Bedridden once again the High King was forced to rule through others, just as he had done whilst recovering from his war wounds. Once again the Finnish marched to war, and once again they called upon the High King to honour his oath. 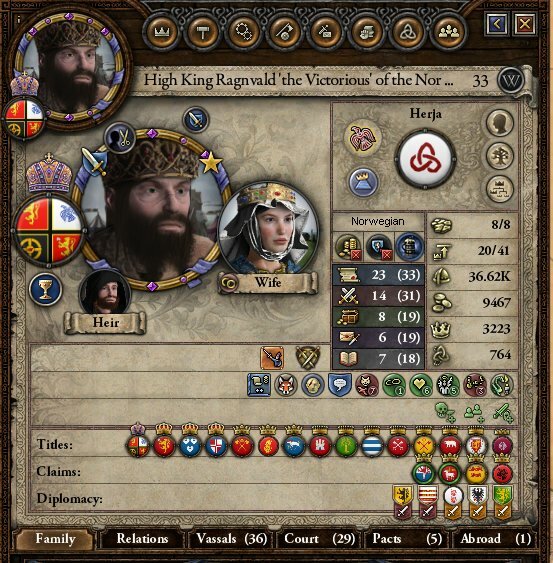 Tired of being the battering ram for another Kings ambition, High King Ragnvald honoured the call, but ordered his spymaster to find a way out of the alliance. 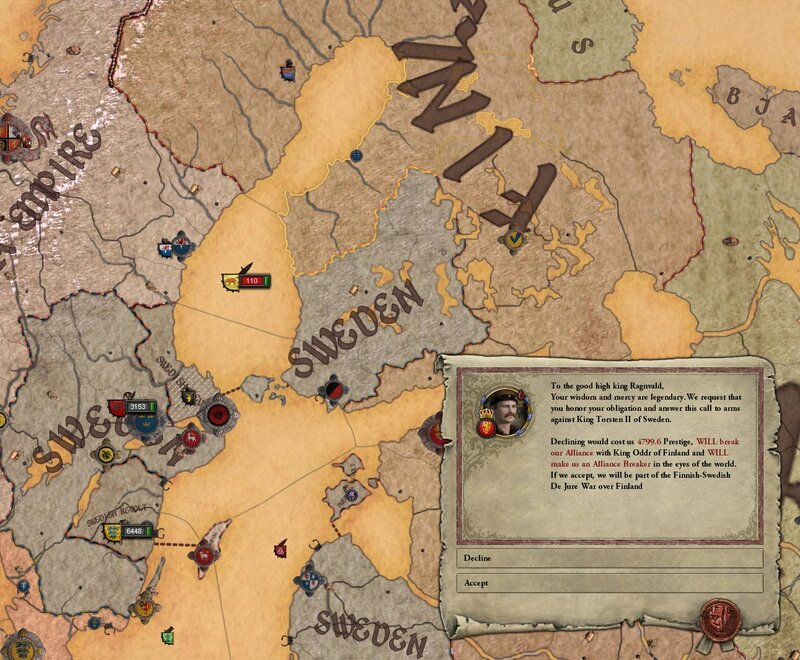 Why the King of Finland sought to weaken only the members of the faithful, and not strike against the true enemy to the south was a question that plagued the already taxed mind of the High King. Further was the mind of the High King lost to him as he began to speak of strange occurrences, omen that those around him could not see. He spoke of a village nearby where those faithful to old gods lived, a village that none of the courtiers could not find on any map. …for the next morning, the High King was nowhere to be found. For three weeks was the crown of the North Sea Empire unworn, as the courtiers searched high and low for their High King. 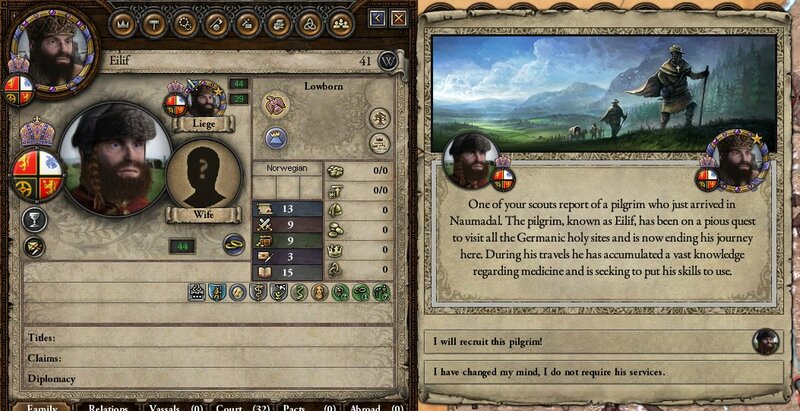 Finally, the search was called off by Eirik, Ragnvald’s son and heir. 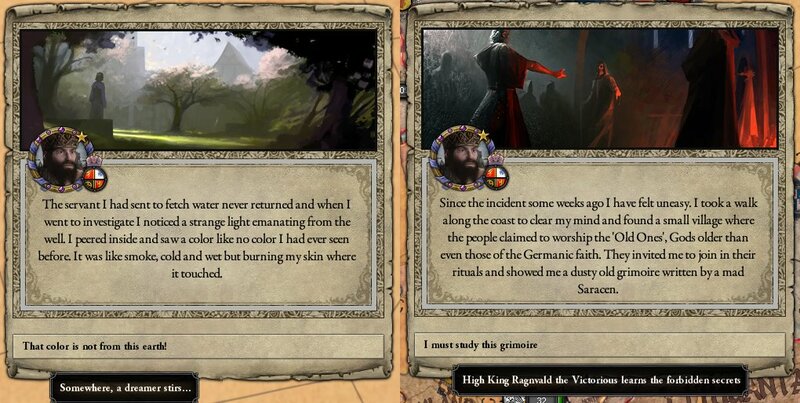 The dukes and minor lords had started to demand the dissemination of the High Kings titles as per the Grenser av Kronen, and fearing further rebellions if he delayed, the faithful son abandoned his search for his father and donned his crown. 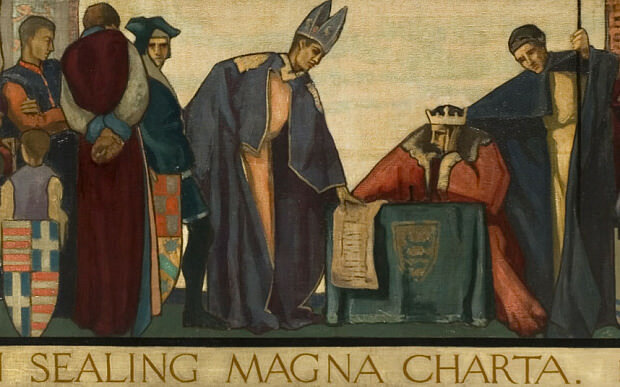 Further crowns were retrieved from the royal library, and for the first time since its inception, the title of King of Frisia was given to a man who did not rule Norway. The crown of Great Moravia, a more recent creation, was also retrieved and both of these were granted to the second and third oldest, living, sons of the former High King.